Barbara Lovenberg, nee Raffe, 69, beloved wife of Barry for almost 50 years; loving mother of Mike (Katie), Stacie and Sean (Robyn); cherished Bubbie of Kamryn, Riley, Aidan, Connor, Landen, Lukas and Olivia; dear sister of Bruce and the late Joyce Freeman; treasured aunt, cousin and friend. Chapel service 10 AM Friday, March 29th at Shalom Memorial Funeral Home, 1700 W. Rand Road, Arlington Heights. Interment Shalom Memorial Park. In lieu of flowers, donations may be made to your favorite charity. 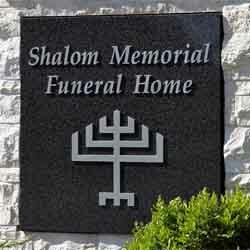 For information or to leave condolences: 847-255-3520 or www.shalom2.com. My dear Sister and best friend,you will truly be missed. Barb attended my Ageless Grace Body & Brain Fitness classes for several years. I remember she rarely missed a class and participated as best she good and always with humor and a wonderful attitude. Barb was so very kind to everyone and always asked about my husbands health. I am so sad to realize we won’t be enjoying her caring personality and her lovely smile any more. Rest In Peace Barb. My sincere condolences to her family. I met Barb at Bingo. She sat next to me and was sitting in a chair that did not move when she needed to get up, She was very upset and I told her to sit still I would move the chair for her which I did and we became friends, I will miss her greatly and have very fond memories of her. We would laugh how we very realy won, but the friendship was what was important. We sat across from each other for nearly two years waiting patiently for someone at our table to call out “BINGO”. Clapping and cheering when anyone won even if it was only two or three dollars. We will miss your smiles and laughter, but especially we will miss you. May God remember the soul of Barbara Lynn Lovenberg who has passed to eternal rest. O God, I pray that you will keep the soul of my dear______________ united with us in the bond of life. In his/her memory, guide me so that I will live righteously, fulfilling Your will and serving our people. May his/her soul rest in peace and be remembered as a blessing. O God, as I remember, Barbara Lynn Lovenberg I pray that I may emulate all that was good and righteous in his/her life. May his/her soul be given eternal life and his/her memory always remain a comfort and source of inspiration. A link has been broken in the chain that has bound us together, yet strong bonds of home and love hold us each to the other and we give thanks for the blessing of life, of companionship, and of memory.